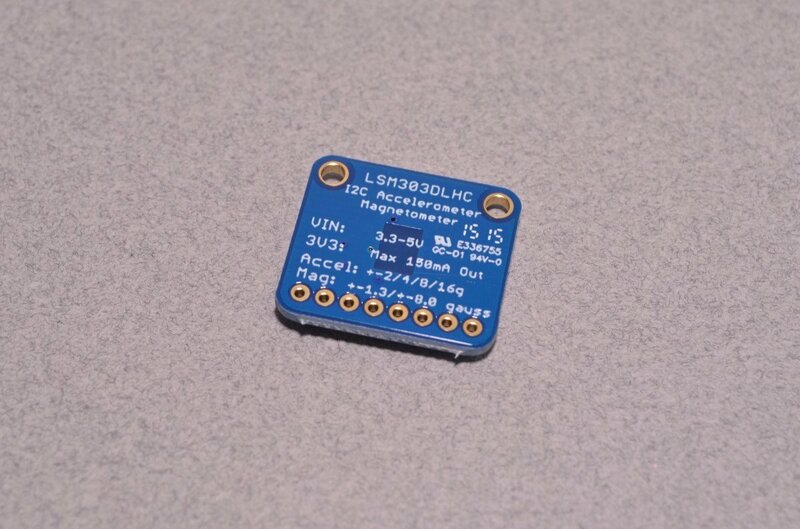 This breakout board is based on the latest version of the LSM303DLHC. 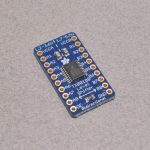 With a configurable range triple axis accelerometer and triple axis magnetometer this board is great for applications such as a tilt compensated compass or position monitoring. 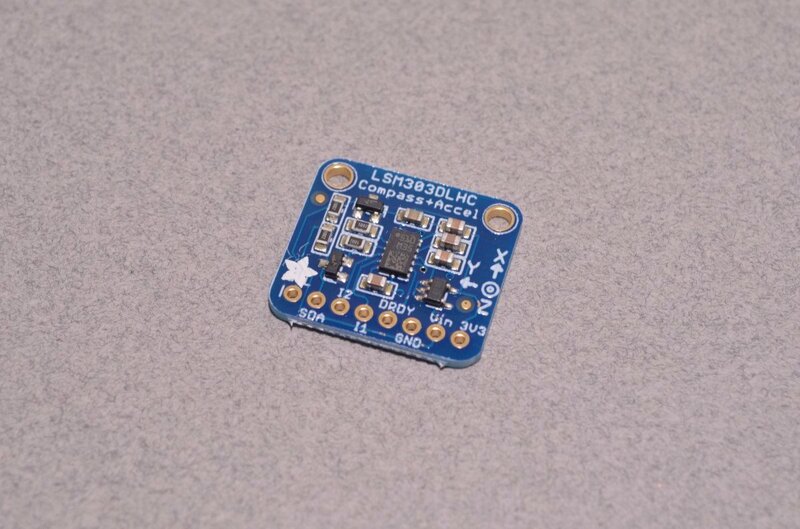 This compact sensor uses I2C to communicate and it's very easy to use. 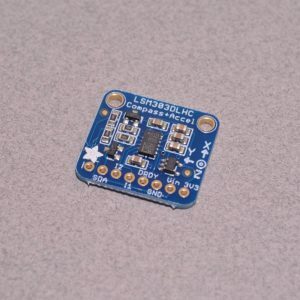 This sensor features configurable ranges for both the accelerometer and magnetometer. 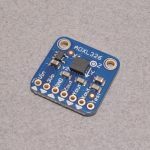 The accelerometer can be set to ±2g/±4g/±8g/±16g ranges while the magnetometer can be set to ±1.3/±1.9/±2.5/±4.0/±4.7/±5.6/±8.1 gauss. 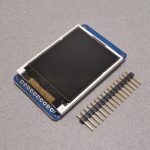 These ranges are set in software. 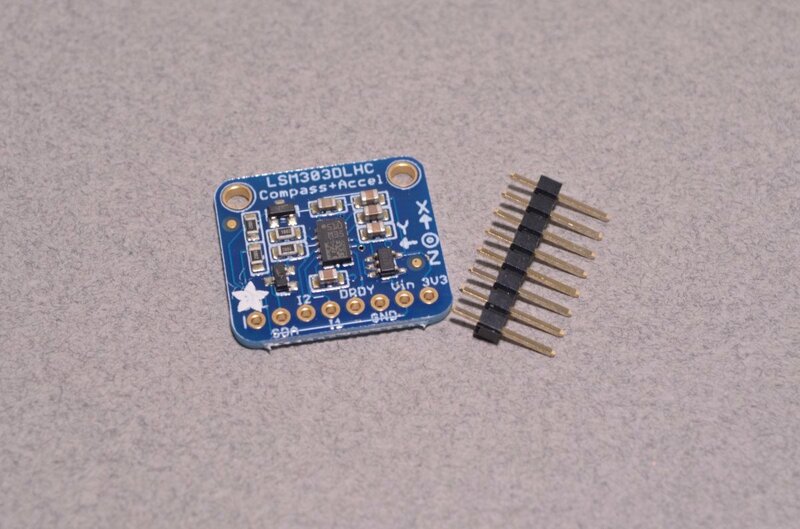 The board is 3.3V/5V compatible and features an extra Data Ready and two Interupt Pins for advanced users (check the LSM303 datasheet for details). SKU: BOB-027. 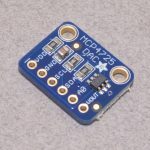 Categories: Breakout Boards, Accelerometers, Magnetic Sensors and Magnets. 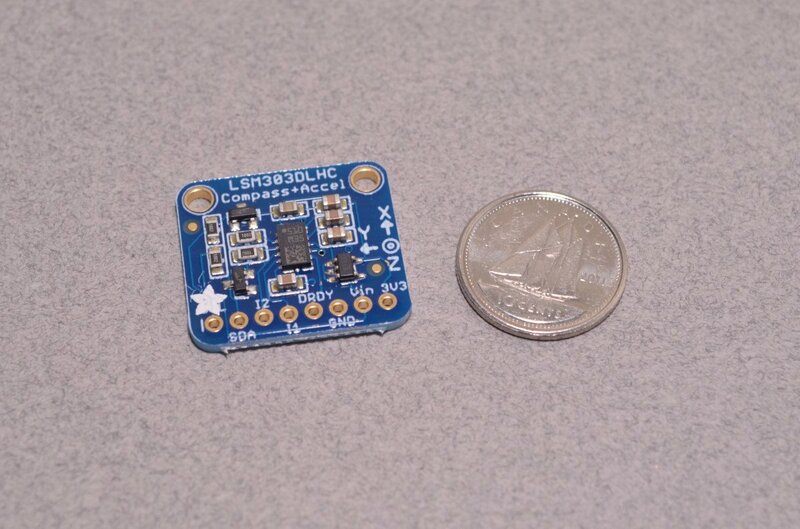 Tags: Accelerometer, Adafruit, Light Packet, Magnetometer.